Boat: Our boats are adapted to meet our needs, we can’t just charter a standard boat at the event. Our boats will have to go in a container in July/August. 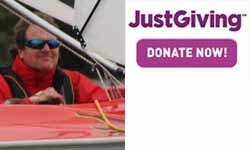 If I want to carry on training and preparing, I need a second adapted training boat in the UK. Care: I need help with every aspect of day to day living, dressing, washing, getting up etc. Therefore I have to take somebody with me to do this; fortunately my wife Nicky can fulfill this role, but she’s still a cost. Don’t tell her I said that. Support team: As a team we need volunteers to help with rigging, launching, hoisting, and on-water support. We will need to help with covering their costs. 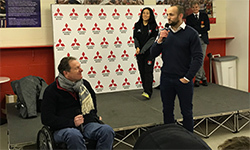 Coach: We are hoping to be able to take an RYA coach with us to the event. Coach/Support boats: As a team we will need a RIB for the Coach, and another for the support team. We will either transport them in the container, or charter boats at the event. The boats also need fueling. 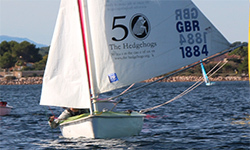 I am seeking to raise £6k towards my costs of attending the event, and £30k for the Hansa Class UK for the event and training for the team through 2018 so that we are competitive. The Hansa Class UK are a registered charity (number 1165467), and gift aid can be added to donations through MyDonate.